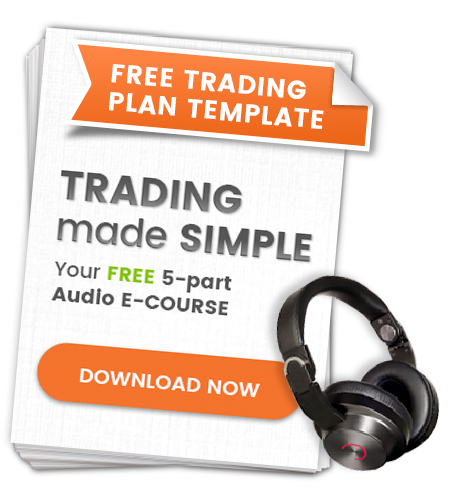 So you’ve grasped the basics of trading, but you’re not quite sure how to blow the lid off your trading potential? The Intermediate Pack is exactly what you’ve been looking for. 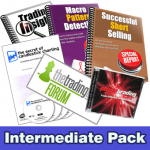 This combination of DVDs, Special Reports and an incredibly comprehensive CD will take your trading to the next level. Learn how to profit regardless of whether the market is trending up or down using CFDs, short selling, and specific entry techniques that will give your trading a definite edge. Because all trading incurs risk, you need expert tuition to help guide you through the minefield. This pack provides you with specific guidance so you can get more ‘bang for your bucks’ and enjoy the freedom to do what you really want, sooner. Professional traders commit to their own education. Make the decision today to develop your skills so that you can trade regardless of market conditions. The powerful principles in this training have worked wonders for so many people. Now it’s your turn too. Order your Intermediate pack NOW! By ordering these products as a pack, you will receive a huge discount, and pay only $1695.00 instead of $2559.80. You will also become a member of the Trading Game forum - for 12 months so you can ask specific questions to a vast array of professional traders.